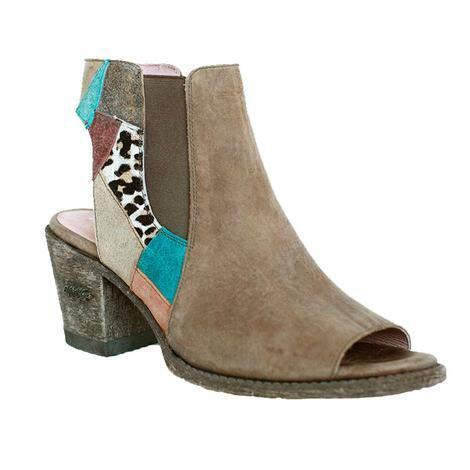 Miss Macie's Mercy Me cut-out suede shoe is a very classy pairing with evenings out or simply your favorite pair of skinny jeans. Fitted with a fringed leather ankle strap in dark tan along with black and tan intricate leather shoe design makes these an edgy addition to your closet. Cusioned insole for comfort and a 3" fashion heel. 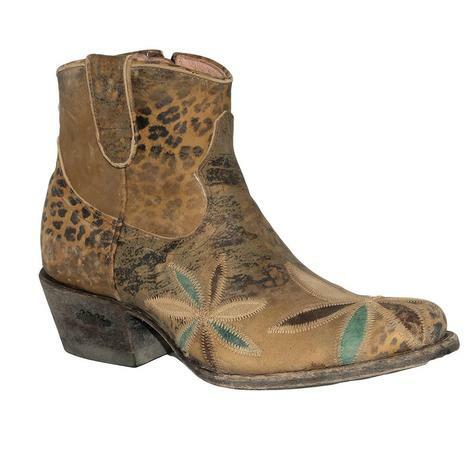 Miss Macie features western boutique boots with a bohemian edge. Experience their unique vintage style, handcrafted by artisans, today! 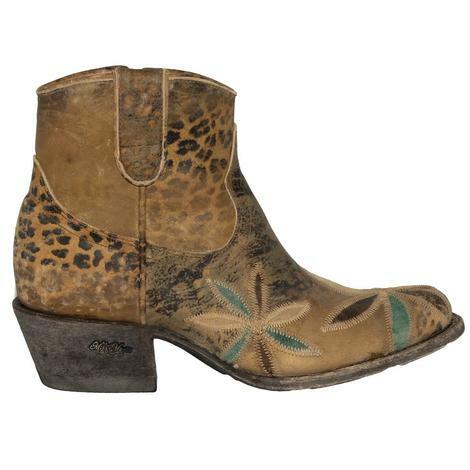 These womens western boots feature distressed leather, whimsical flower design, and a leather sole. 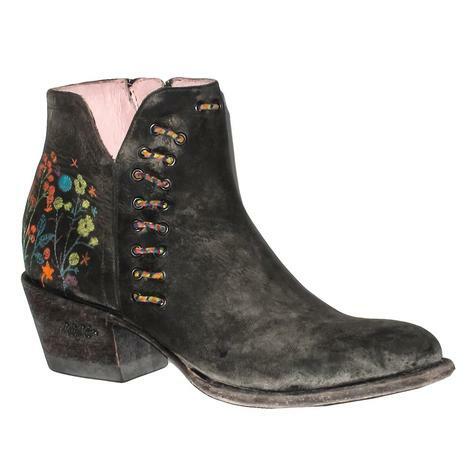 Miss Macie boots are handcrafted with every detail in mind. The blush pink hung lining and cushion insole with arch support will keep you comfortable, while the leather sole with one of four chosen scriptures imprinted in them will have you walking into your purpose. The distressed mark leather looks great and adds a bit of flair. 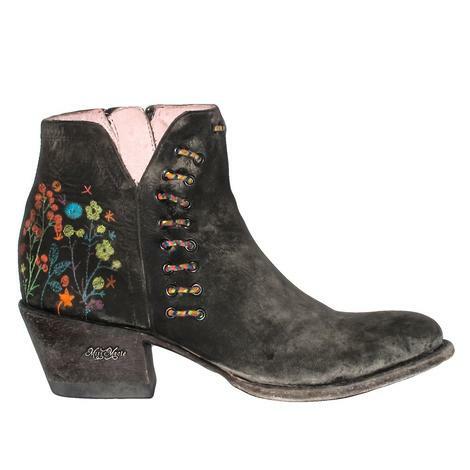 The Dadgummit boot from Miss Macie is a ankle boot featuring an embroidered floral detail at the heel and multi color zip tassel.